Heat the oil in a large pan. Sauté the onion until translucent, add the garlic, turmeric and ginger, sauté for approx. 1 min. Add the carrot, continue cooking for approx. 2 mins. Pour in the bouillon, simmer the soup for 15-20 mins. until the carrots are soft. Blend the soup until smooth, stir in the lemon juice. 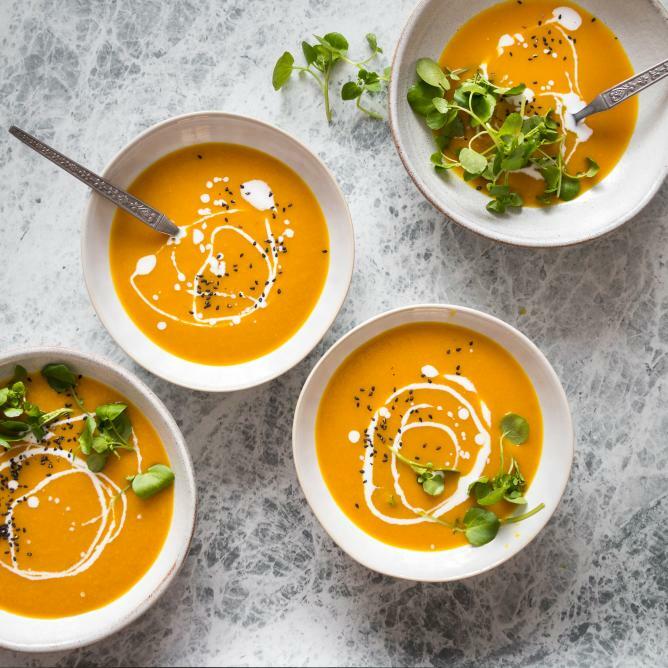 Serve the soup in 4 bowls, garnish with the coconut milk and sesame seeds, serve immediately. The soup can also be garnished with micro greens.